Shopping malls No longer limited place for goods purchase from various shops located in it but it has become an integrated view comprising along with shops restaurants, cafes and leisure facilities, cinemas and the various shops Floors booked her place in the largest shopping centers to provide the needs of all shoppers. In our topic today will highlight three of the largest shopping center in the Gulf, which includes more than what is expected! “The Dubai Mall” is not only the largest and finest shopping center in the Persian Gulf but in all the world and includes a full range of luxury and distinctive shops and luxurious restaurants and cafes, is located in the center of Dubai, the most prestigious square kilometer in the public and adjacent to the Burj Khalifa, the tallest tower in the world. And the size of “The Dubai Mall” 50 football field and more than 1,200 shops in addition to a full range of leisure facilities distinctive. 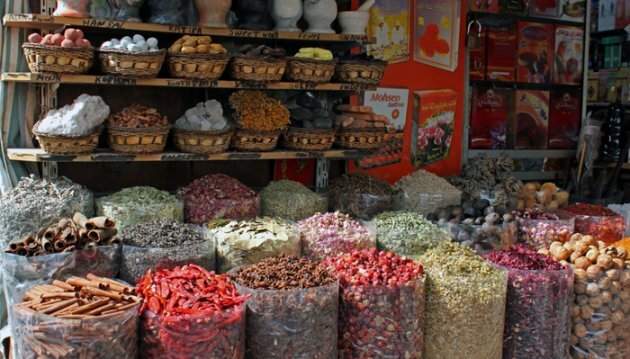 And more than 120 of the most prestigious restaurants and cafes. It features The Dubai Mall wonderful and includes fashion lounge, a shopping area including the world’s most famous fashion houses and designed in the form of the lobby of a circular widely characterized by minute, marble floors and white carpet its details by the multi-sections “Galeries Lafayette” and “Bloomingdale’s” two stores while the market area designed on the traditional Arab markets model includes traditional cargo area a distinctive and dedicated to clothes and denim jeans Village. 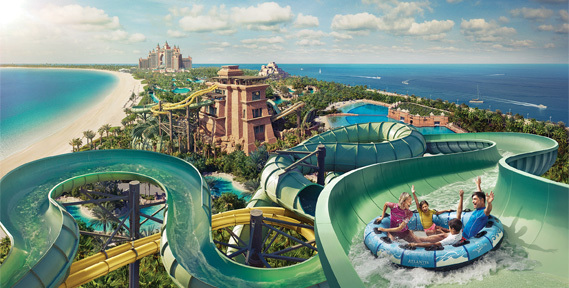 The advantage of “Dubai Mall” features the unique leisure facilities comes in the forefront of “Aquarium” and “rink on ice” and complex “Cinemas Real” and the land of children “Kedzinaa” which combines entertainment and educational games and complex “Sega Ribblk” interactive entertainment games , the first of its kind in the Middle East. 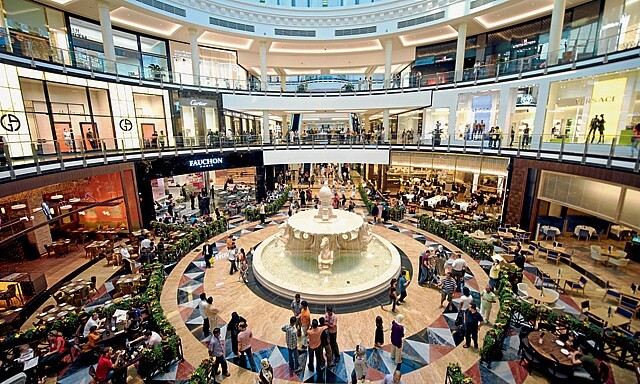 The Avenues Mall is the largest shopping complex and shopping center in Kuwait. 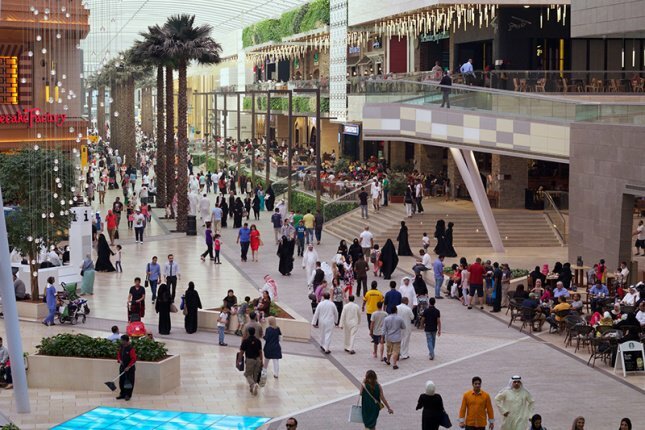 The complex is located in the industrial area of ​​irrigation along the Fifth Ring Road, and the Avenues offers a unique shopping experience the beauty and splendor of its design shops as well as entertainment. Avenues embraces a series of famous international and local brands are distributed to seven zones, namely Zone First Avenue, Second Avenue, Grand Avenue, Prestige, Soko, The Mall and the market. The Avenues is characterized by a breathtaking urban design combines a number of diverse urban schools, and gives each area a special identity and inspired one of the oldest cities in the world which makes the shopping experience at the Avenues unique experience for each shopper and visitor. And one of the most beautiful areas in the Avenues is the “Grand Avenue” area, which offers visitors a unique experience of living through it in similar atmosphere to walk in a big shopping streets, such as the “Champs-Elysees” Street, as well as the “Oxford” the famous street where stretching region along up to 500 meters a length and a width of 22 meters, as well as spacious squares on a 30-meter diameter, and decorated with palm trees on either side of the road under the covered roof material ETFE against severe weather as well as heat to allow the light illuminating the outside of the area. 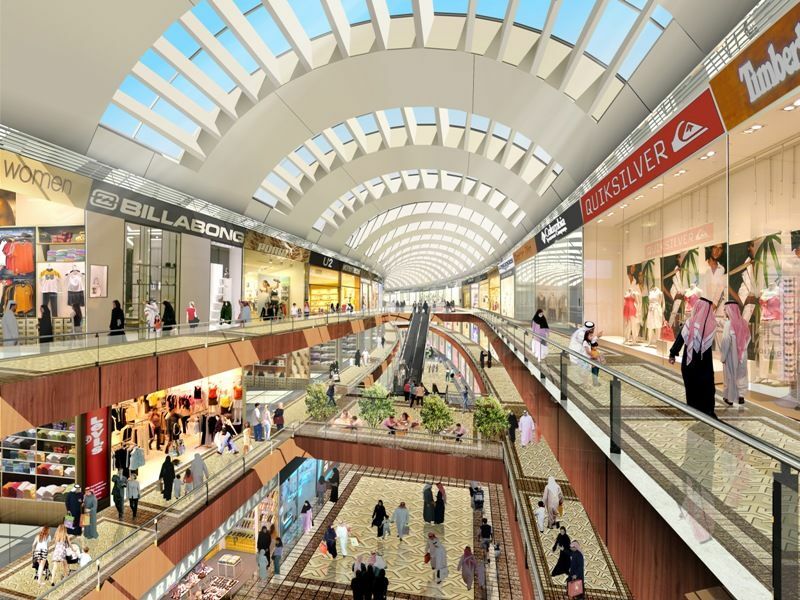 Avenues and includes more than 800 shops, nine and parking for approximately 10,000 cars. 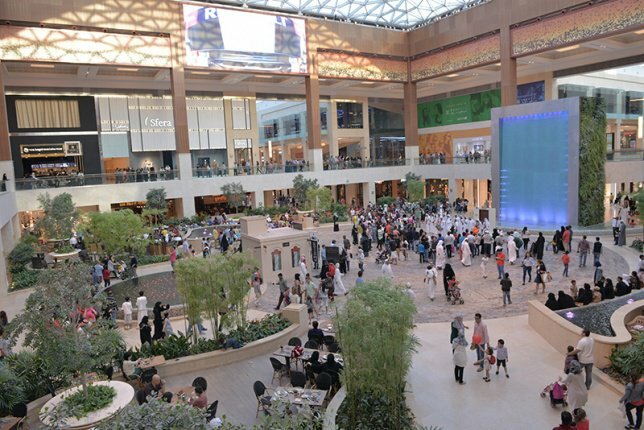 Yas Mall is the largest shopping center in Abu Dhabi and the third in the Arabian Gulf, as is an integrated entertainment center in the heart of the picturesque Yas Island. Embraces Yas Mall 370 stores and 62 restaurants are located on an area of ​​2.5 million square feet and features Yas Mall design spacious corridors, which includes artistic sculptures and facades of glass allows illuminate the Mall naturally provides Mall a variety of architectural and urban spaces include streets and boulevards, roads and internal squares such as Piazza Central Mall which is surrounded by fountains and water basins. 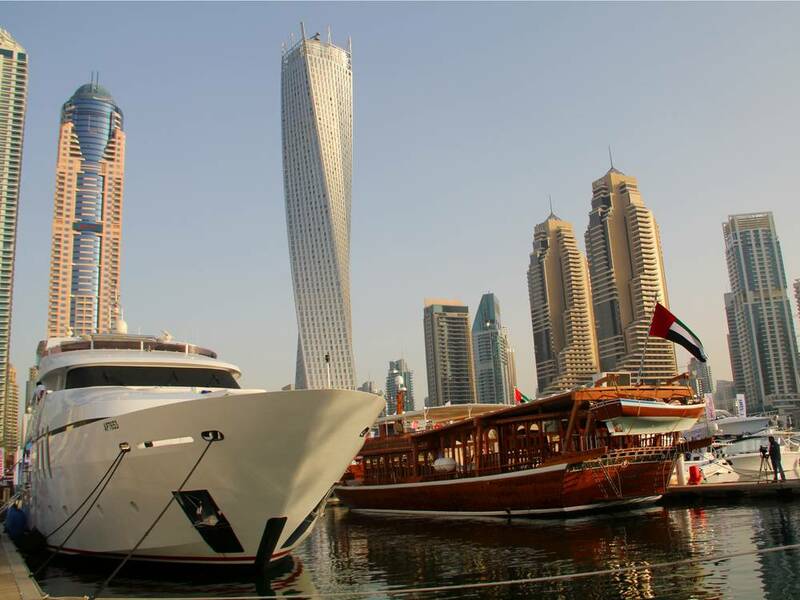 Besides direct contact with the world of Ferrari feature, the first city games are covered in the world as well as its proximity to the Marina months circuit tracks Formula One race in the world Yas Stadium Yas Links golf course and the largest water park Yas Water Land and Yas Marina Beach and Yas. Of entertainment experiences provided by Yas Mall “Fox Cinema” with 20 display screen equipped with the latest “4DX” techniques which, along with a private space for family entertainment management Tefn Works “first entertainment center family of its kind in the Middle East and Rojos Restaurant, the largest Rolurkostr restaurant in the world .